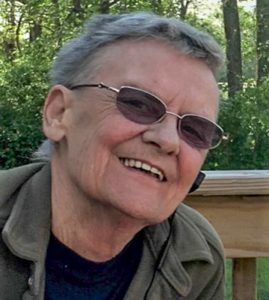 Lucille A. Martone died unexpectedly at her home in Marydel, Md., on Dec. 4, 2018, leaving behind Regenia Fales, her beloved partner of 51 years. Born on Feb. 28, 1947, in Oak Bluffs, Lou, as she was known to her family and friends, attended school on Martha’s Vineyard and finished her education in Smyrna, Del. Some of her fondest childhood memories were of her time spent with her grandparents, Winthrop B. (Sonny) and Mildred E. Norton, at the family farm on Oyster Pond in Edgartown. For many years Lou was employed as a department manager at General Foods Corp. When she retired, Lou realized her lifelong dream and purchased her own 150-acre farm where she would enjoy her horses, sheep, and beloved black Labrador Bandit. An avid sportsman and expert equestrian, Lou was happiest in the field hunting, or on the water’s edge fishing. She was predeceased by her parents and her brother Anthony A. Martone Jr. She will be greatly missed by her sister Natalie Conroy of West Tisbury, her brother Michael Geddis of Vineyard Haven, her uncles Allen W. Norton and Albert A. White, many cousins, nieces, and nephews, and her extended families in Rhode Island, Massachusetts, and Marydel. A memorial service to celebrate her life is being planned at a later date on Martha’s Vineyard. In lieu of flowers, donations to the Animal Shelter of Martha’s Vineyard, P.O. Box 1829, Edgartown, MA 02535, are suggested. Previous articleLouis K. Goodwin Jr.
Next articleRobert Hampton Brown Jr.